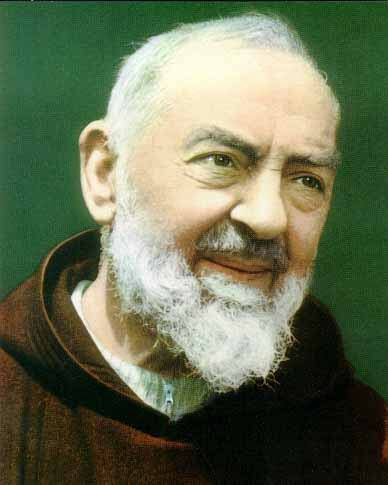 Patronage-civil defense volunteers, Catholic adolescents And as a matter of fact, Padre Pio was the first priest to bear the stigmata — the holy wounds of Christ — just like St. Francis of Assisi. 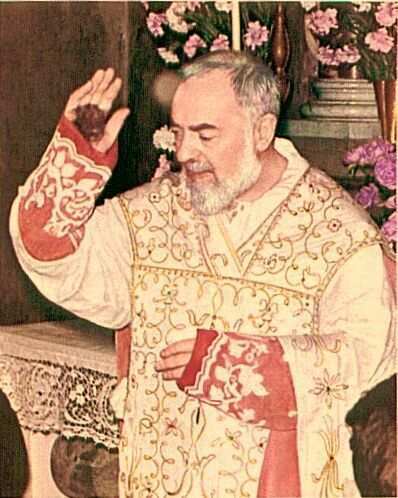 Saint Pio is a man who healed literally thousands — while he was still alive; who could read souls — knowing in case after case exactly what a person in Confession had done; who was seen in dozens of cases in bilocation (appearing far from where he actually was). There were accounts that defy the belief of even the most ardent believer: a sighting of him at the Vatican, even though he never left the San Giovanni monastery; the transfiguration of his face into that of Jesus' during the Consecration; a worker named Giovanni Savino who lost an eye that later materialized under the bandages after Pio visited him in bilocation.